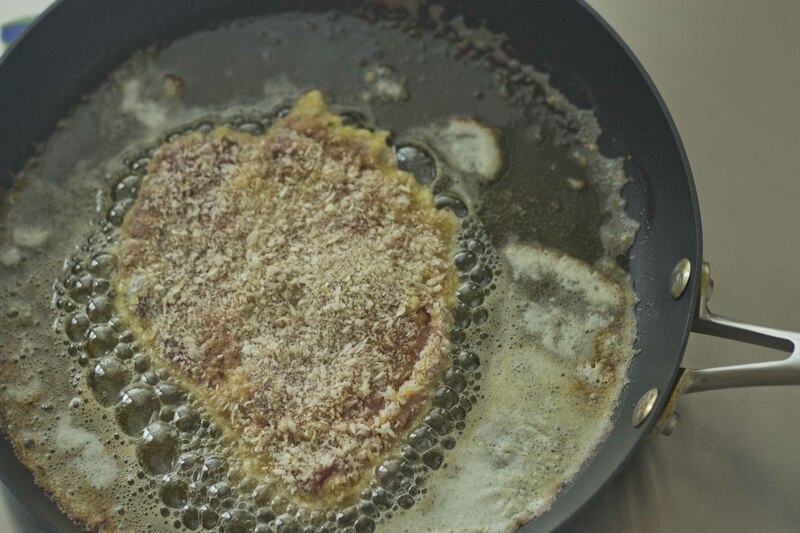 Costoletta alla milanese is a favourite dish the world over and many European nations claim to have invented the dish, particularly Austria. 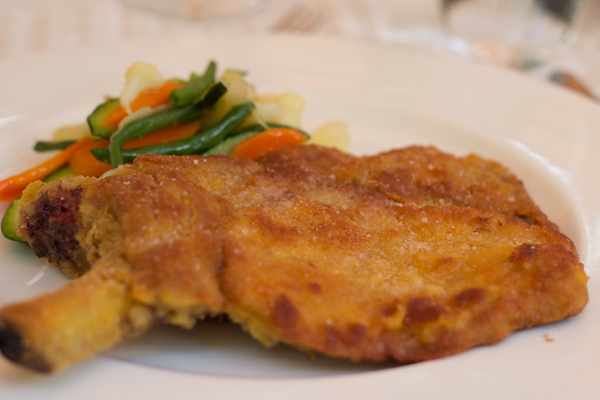 In other countries it is sometimes called schnitzel and can be made with chicken breast, turkey breast or pork loin. 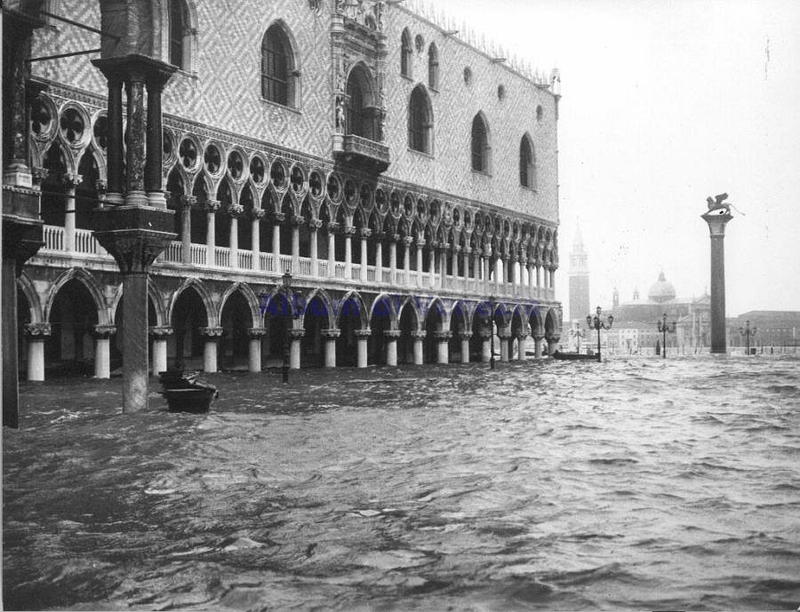 All are fine substitutions but veal has a mild flavour, tender texture and remains juicy. 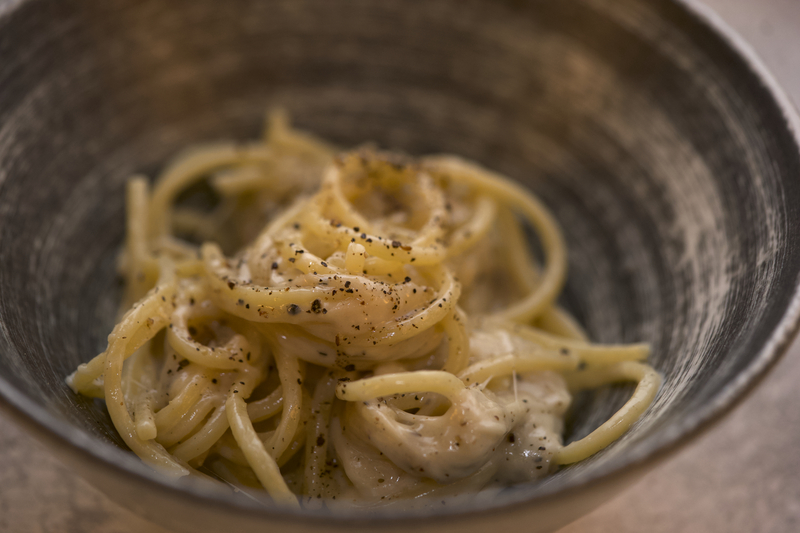 Children and adults love this dish. 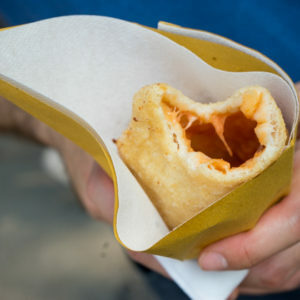 In Milano it is made with veal cutlet which can either have the bone or not and be left 3 cm thick or thinly pounded. 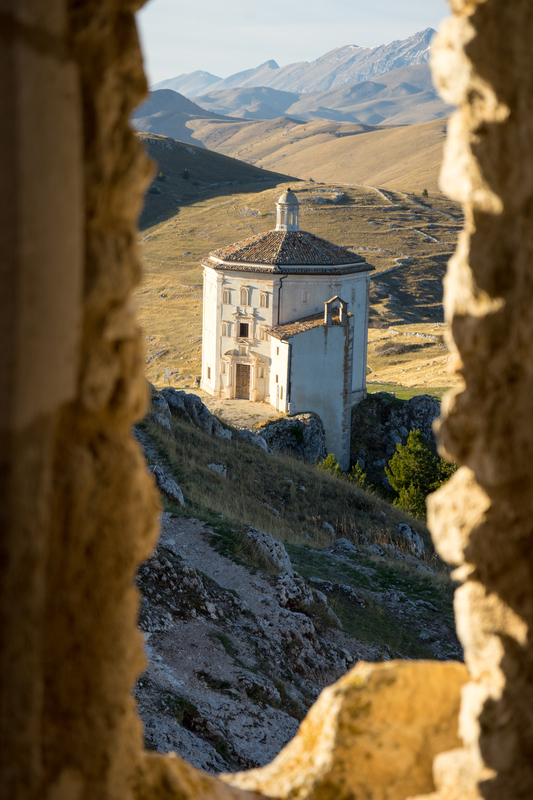 In Italy it is most classically paired with risotto alla milanese, roast or fried potatoes or salad. 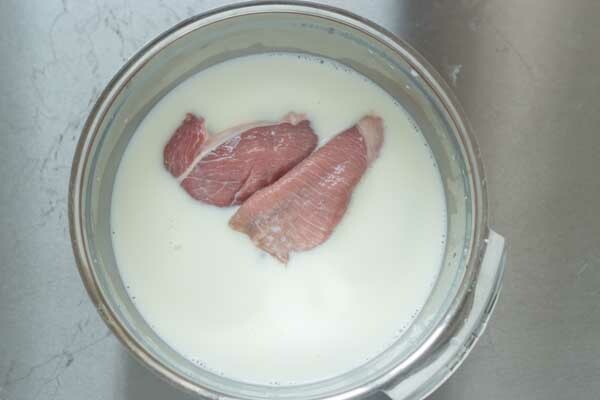 Soak the chops in milk for an hour before cooking to soften the meat (this is optional). 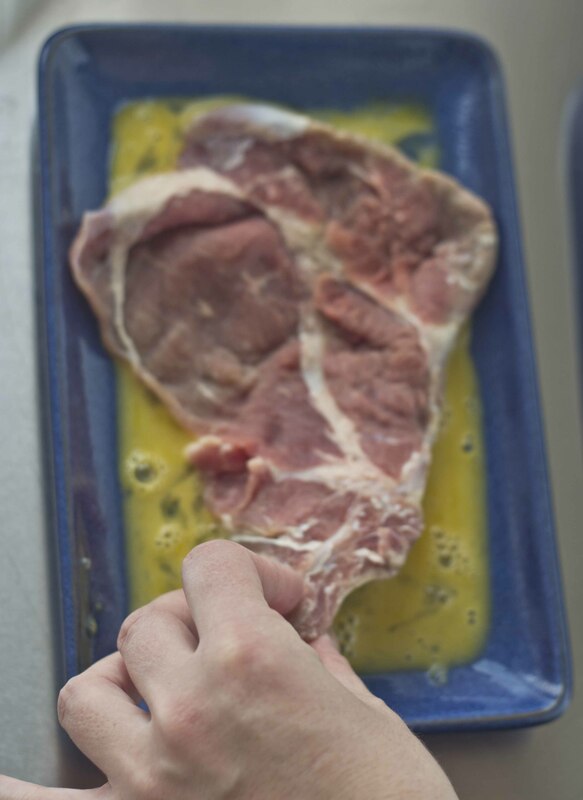 Drain the milk and dry off the chops. 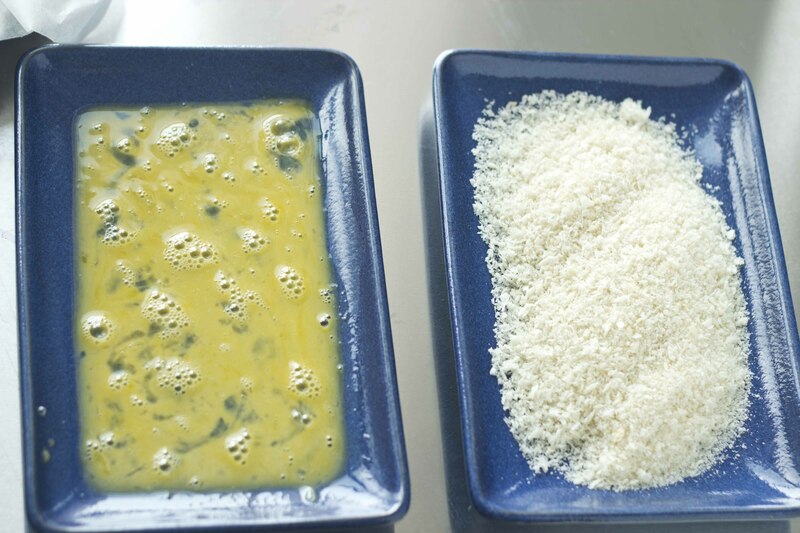 Preheat the oven to 100 C. Place the beaten egg on a plate or low lipped flat bowl. In a separate plate place the breadcrumbs. 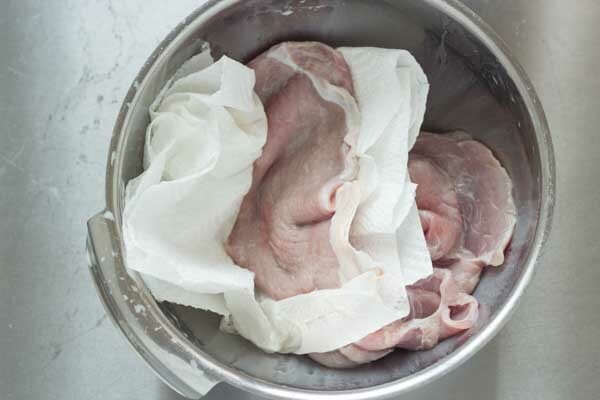 Drain the milk away and dry the veal chops. Do not season the meat. 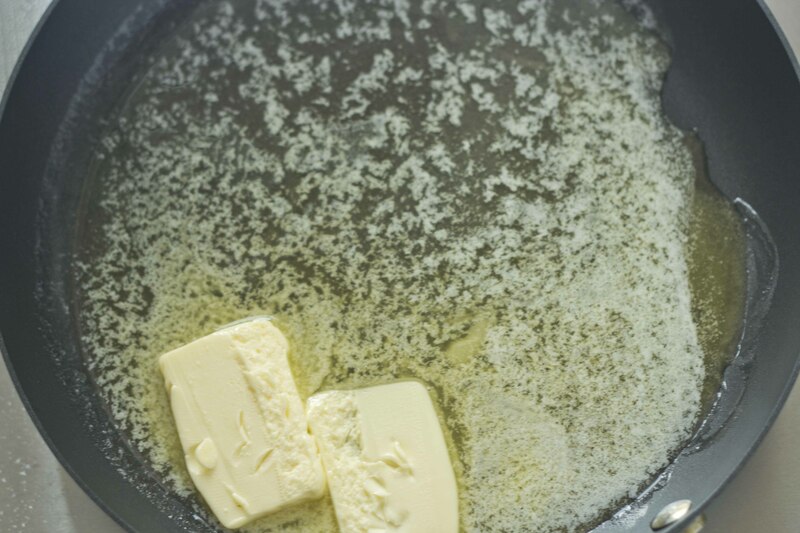 In a frying pan over low heat, melt the butter. 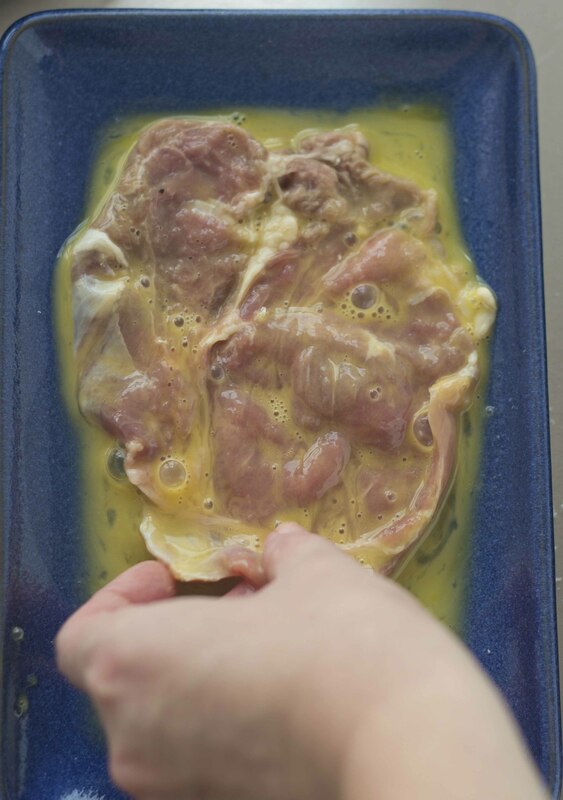 When completely melted, holding the chops by the bone, dip the meat into the beaten egg ensuring that it is coated. Turn the chop over to coat the other side with egg. 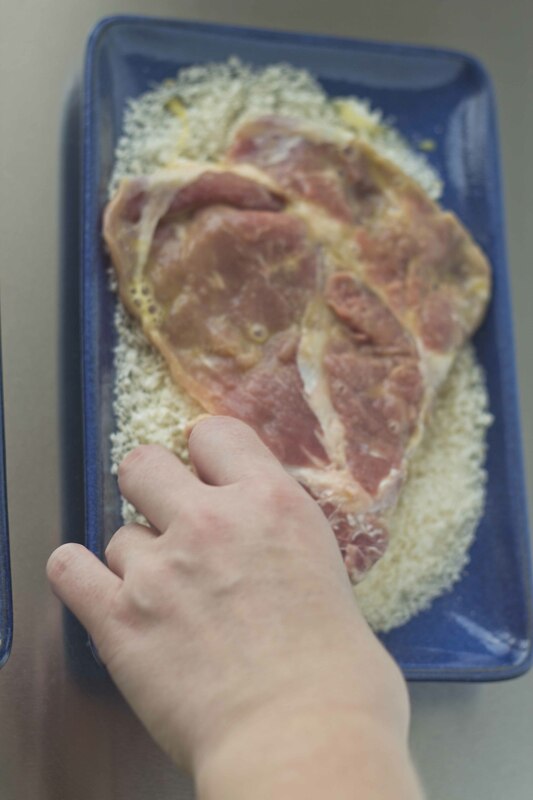 Then dip the meat into the breadcrumbs. 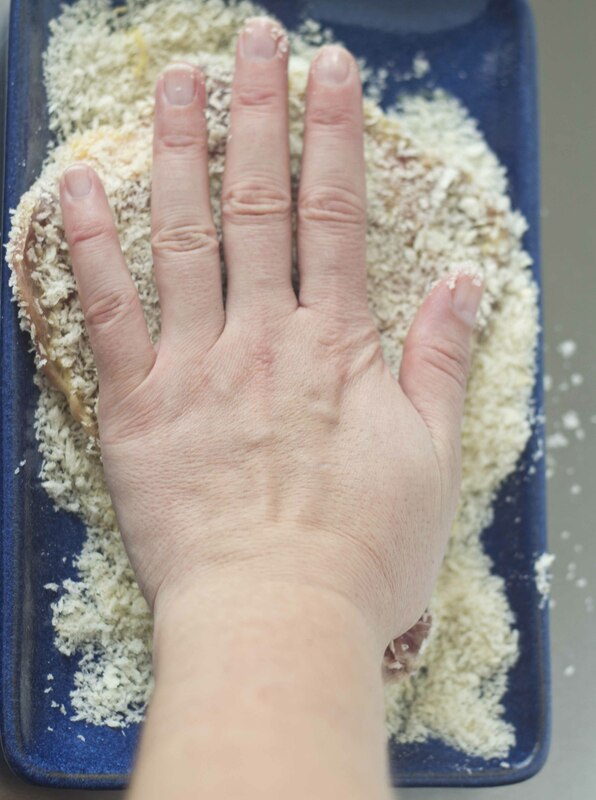 Use your flattened hand to push the breadcrumbs into the meat to ensure that they stick and do not come loose in the butter and burn. 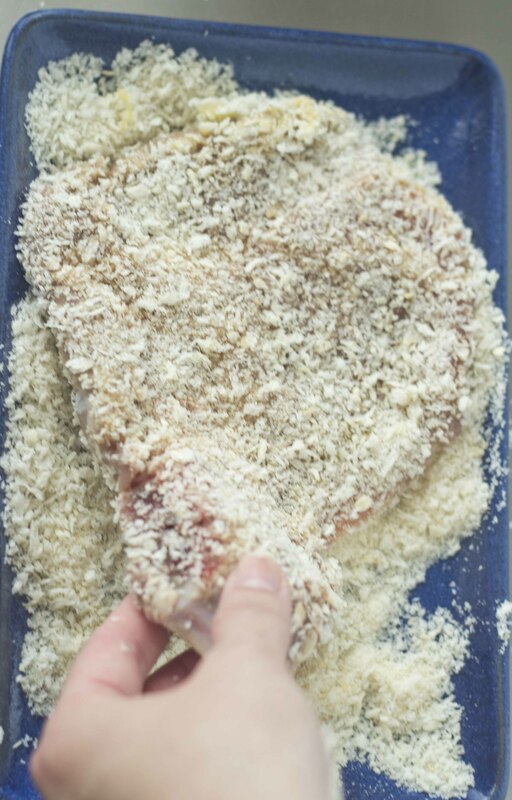 Turn over the chop to coat the other side with breadcrumbs. 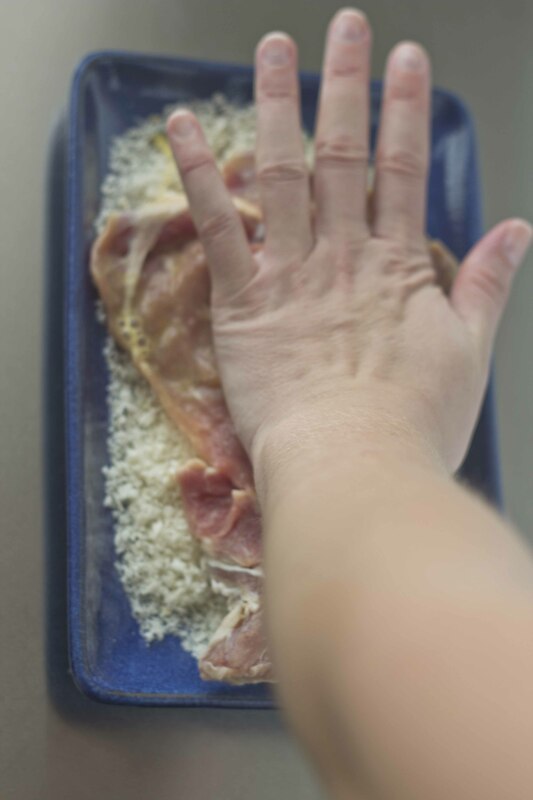 Use your flattened hand to push the breadcrumbs into the other side of the meat to ensure that they stick and do not come loose in the butter and burn. Put one chop into the butter and allow to cook slowly for 5 minutes. Turn over and cook for 5 minutes on low on the other side. 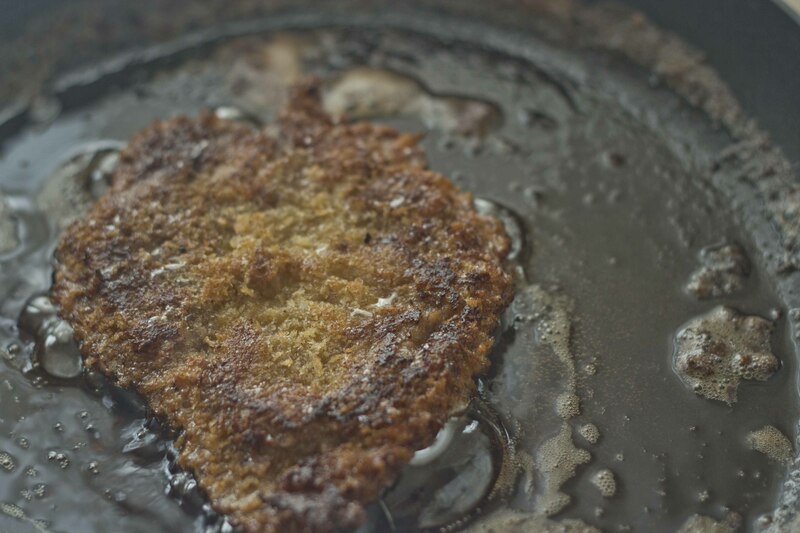 Turn the heat up to medium and fry for 1 to 2 minutes each side so that the coating is golden and crisp. It should not be blackened and you should not allow your butter to burn. 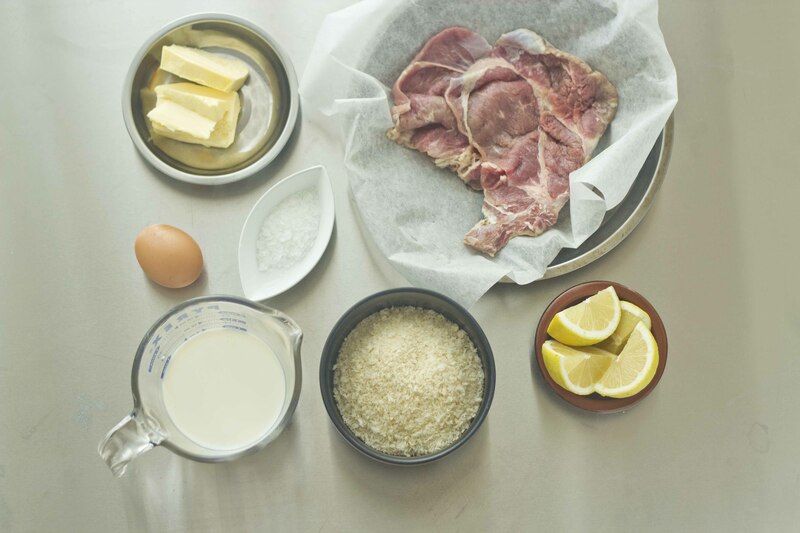 Line a baking dish with kitchen paper and put the chop into the dish, sprinkle with sea salt, and place in the oven while you cook your next chop. 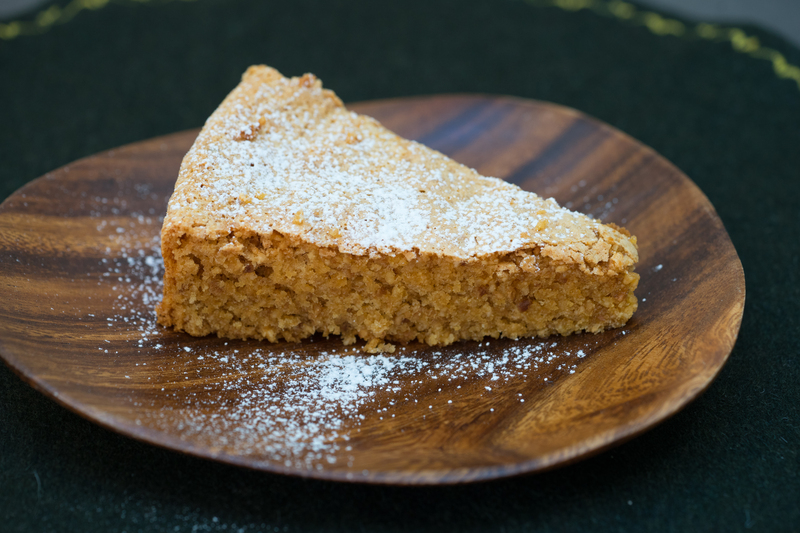 Do not layer the chops or the crust will go soggy. 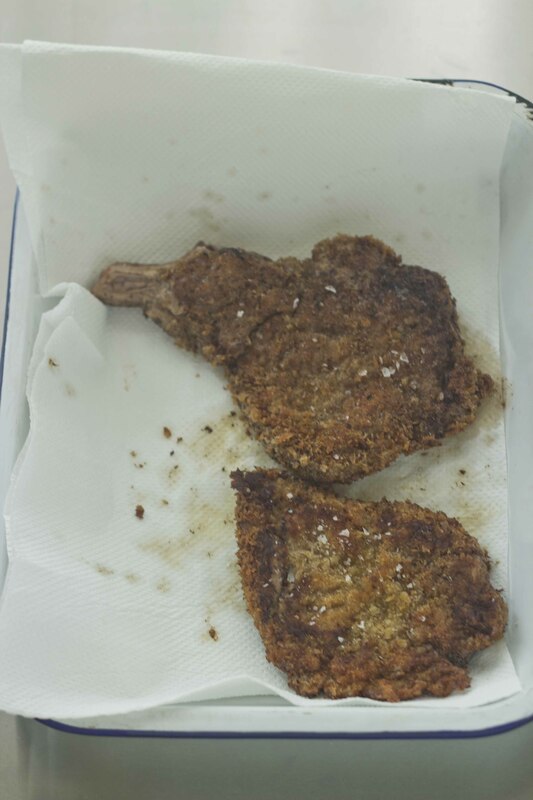 Repeat the procedure until all the chops are done. Serve immediately with lemon wedges to squeeze over. Leftovers are excellent placed between nice bread with mayonnaise, pressed, and grilled. Once hot, open up and add salad leaves and serve.